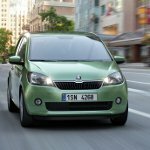 In October, 2011 started production of a new small-capacity city hatchback of Skoda Citigo which premiere in the CIS countries has to take place at the end of this year. The car will be available in three - and five-door option of a body. Besides, in a year Czechs plan to let out this model with an automatic transmission, and also to supply it with a number of additional functions. It should be noted that the Skoda Citigo car is the very first compact at this producer collected on the Volkswagen Up platform. The new car got the engine with a volume only one liter, and the power of the three-cylinder motor reaches 75 horsepowers. Nevertheless such engine promotes very low fuel consumption — a little more than four liters on one hundred kilometers that for city conditions simply ideally. It should be noted also a small fuel tank, which volume of only 35 liters, and also existence in the car of system of economy of Start/Stop fuel. The maximum speed of a new citykar — 171 km/h, and to one hundred it disperses approximately in 14 seconds. The motor completely meets standards of toxicity of Euro 5. To relieve the car chassis of excess weight, designers decided to refuse stabilizers on forward wheels. Their function in this model is carried out by the special stretcher made of a profile which walls have thickness less than 2 millimeters. Still forward brakes with the purpose to lose the gross weight of the car were in addition worked. Back got from the Polo car which is very similar to Skoda Citigo on a design. It is also necessary to note existence of electromechanical strengthening of a wheel. One more function which got to a wheel — self-centering which considerably increases control level over the car. Thanks to the thought-over suspended support of a transmission it was succeeded to arrange most low the battery. 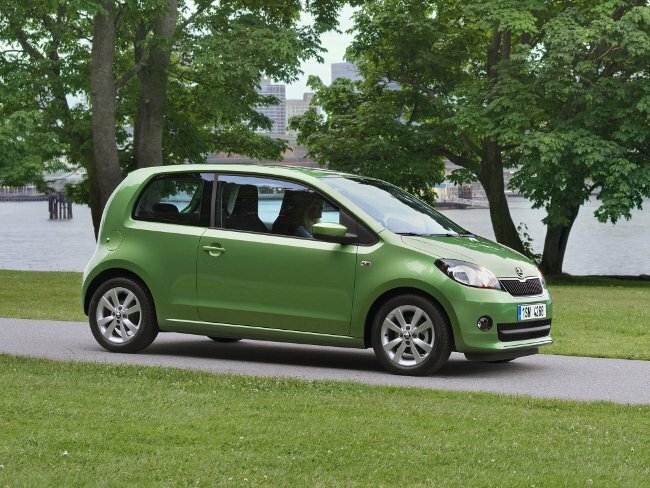 Skoda Citigo has very small sizes: its length is equal 3,6 meters, width — 1,6 meters, and height — 1,5 meters. Car weight — only 929 kilograms. This model is supplied with a 5-staged mechanical box of gear shifting. Besides, the hatchback is equipped by the special assistant to braking of City Safe Drive who automatically joins at a speed over 30 km/h. The principle of its work is based on a laser sensor, tracing a distance to the next car which is ahead. Many drivers find this function very useful during the movement in city streams of megalopolises where the huge number of cars sometimes accumulates. The luggage carrier at Skoda Citigo has volume only 251 liter and reminds quite narrow deep hold. 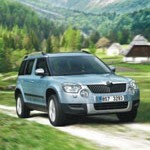 However it can be increased to 951 liters thanks to folding of backs of back seats. The car is equipped with lobbies and lateral safety cushions which reliably protect not only a trunk, but also the heads of those who sits on forward seats. Also the level of safety of pedestrians thanks to increase in the deformed space under a car cowl is considerably increased. As for fixing of children's chairs, for it the special Isofix system is used. 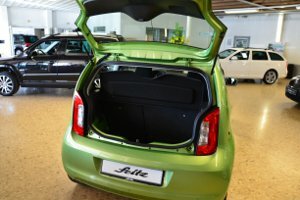 Finally It is necessary to tell that to Europe the Skoda Citigo car is focused on young buyers who appreciate first of all ease of driving, but not the volume of a luggage carrier. It is also possible to allocate the second category of users — these are people of a retirement age whom the lungs which are not demanding heavy expenses cars interest. In the CIS women that is not surprising for small-capacity citykar will become buyers of this model, most likely, only.